AMES, Iowa — A team of Iowa State University College of Design faculty has received the inaugural BNIM Regenerative Design Challenge grant to study the potential conversion of existing buildings into homes for young adults with Autism Spectrum Disorder using the principles of regenerative design. Sponsored by BNIM, an award-winning national design firm with offices in Des Moines, Kansas City and San Diego, the BNIM Regenerative Design Challenge supports multidisciplinary faculty research in the areas of sustainability and regenerative design — a systems-based approach that seeks to create no waste by restoring, renewing or revitalizing sources of energy and materials. The goal is to provide measurable positive impacts to humanity and the planet. 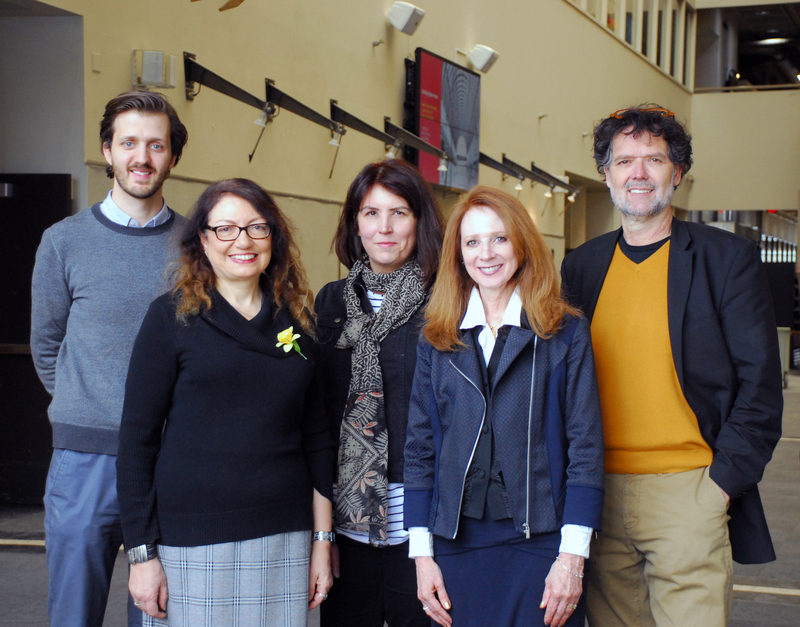 The winning team includes assistant professors Julie Irish, interior design; Daniel Kuhlmann, community and regional planning; and Andrea Wheeler, architecture; and associate professors Diane Al Shihabi, interior design, and Mikesch Muecke, architecture. Their project, “Building a Community: Homes for Transitioning Young Adults with Autism Spectrum Disorder (ASD),” aims to contribute positively to a community’s social, economic and environmental needs by addressing two main issues: how to better engage with ideas of inclusivity and well-being in regenerative architecture, and how design for ASD can assist in rebuilding and renewing communities. “This is a real-world problem in our communities, and this grant will enable our students to consider regenerative solutions with a practical purpose,” Irish said. The funding will support student independent studies with Kuhlmann, and work by students in Wheeler’s Green and Sustainable Architecture seminar, Irish’s Inclusive Design studio, Al Shihabi’s Historic Preservation course and Muecke’s Special Topics seminar, as well as guest speakers and travel to research conferences. “Beyond the financial benefits, the BNIM award is also important because it was the impetus for our collaborative project. Without the challenge, I doubt we would have got together,” Irish said. The team will examine the principles of the Living Building Challenge, a rigorous performance standard for buildings, and other associated regenerative design tools, such as the Living Community Challenge and the WELL Building Standard, for possible incorporation into their project. They will share their research with BNIM representatives throughout the project. Five multidisciplinary faculty research teams within the College of Design submitted proposals for the BNIM Challenge competition. BNIM has been integral to the development of the US Green Building Council, the LEED (Leadership in Energy and Environmental Design) program and the Living Building concept. Together with projects, methods and research, this involvement has shaped the direction of the sustainable design movement. The firm seeks to deliver “beautiful, integrated, living environments that inspire change and enhance the human condition.” The firm’s multifaceted design excellence has yielded national acclaim, including the 2011 AIA National Architecture Firm Award, and consistent design recognition nationally and internationally.